Animal care staff recently noticed two new white teeth peeking out through the gums of infant chimpanzee Jane. Now 6 months old, when the baby yawns, she reveals six pearly whites. 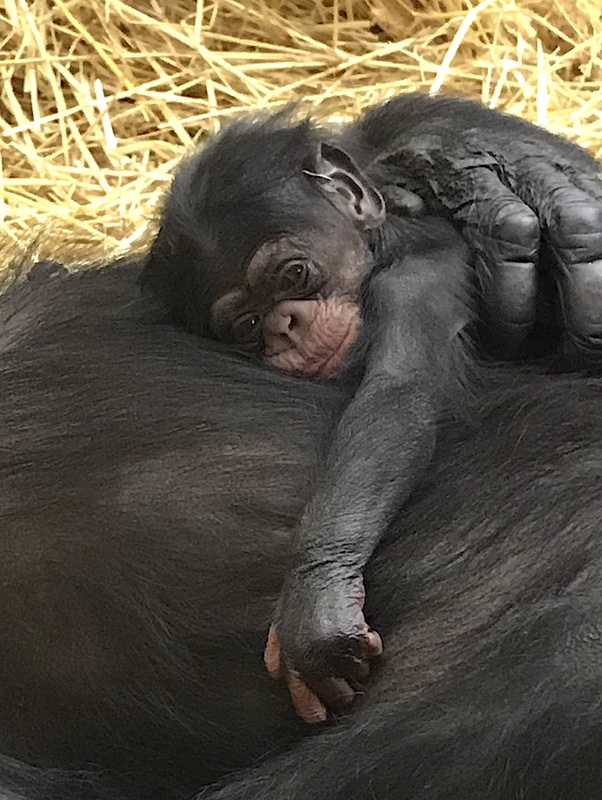 As Jane wakes up, laying on her mom Abby’s chest, she stretches out her spindly legs, releases her grip on her mother’s hair and looks around. Everything in her world is something new to explore and we’ve already started to see Jane’s curious and intelligent nature. Jane took her first steps tentatively. Holding on to Abby with one hand for support, she tried to reach forward to grab onto something sturdy to balance herself. It took the little one about a week to be coordinated and confident enough to move her foot to take a step, but after that she was ready to explore! Climbing was her next big feat. At first, she held onto Abby for extra support but she soon was ready to reach new heights without mom’s help. Each day, Jane would venture a little bit higher and test out her strength and balance by letting go of one of her hands. The rest of the troop is still enamored with their newest addition. Many individuals can be seen sitting near Abby and grooming her, just to get a closer look at their youngest member. Occasionally, with her stumbling walk, Jane will reach out her hand to them to greet them, a chimpanzee communication she has learned from watching her mom and others. Some of the chimpanzees are gentle with her and will lightly place a hand onto Jane’s back while she sits between the adults or gently, with one finger, touch the top of her head. Abby is popular in the troop now that she is carrying a little one on her chest as all of the other chimpanzees want to spend time around Jane. While others admire the little girl without touching, her half-sister Zuhura is overjoyed to have a young playmate. It’s clear Zuhura cannot wait until Jane gets older and can follow her around the habitat and play. Still young herself at age 5, Zuhura can be a little rough when she plays with her youngest sister. When Jane seems to have had enough, Abby disciplines her granddaughter (Zuhura) with a quick grunt and shake of her hand, which tells her to stop. Play is an important part of a young chimpanzee’s life as they learn important skills for when they reach adulthood, such as running, climbing, wrestling and displaying. Play bouts also teach young chimpanzees social skills such as dominance, submission, confidence and reconciliation. So, although sometimes Zuhura can appear to be rough with Jane, don’t worry! Jane is learning new behaviors from this playtime and if you look closely, you might even see both of them laughing just like human children do. For now, Abby is always just an arm’s reach away in case Jane needs support or to get away from her stronger, older sister. Jane has also started to pick up objects such as sticks, tiny handfuls of bedding, pieces of primate chow and orange peels that Abby discards. Every item she picks up seems to promptly go to her mouth for inspection or to use as a teething toy. Animal care staff use a small plastic spoon used to feed mashed bananas and baby food to Jane each meal. Occasionally, Abby shares small bites of her own produce. Romaine lettuce appears to be Jane’s new favorite, as she typically takes the whole piece from her mother’s mouth and although she’s not yet consuming it, she shreds it and bites it into tiny pieces for Abby to forage for when Jane is through with it. Although Jane is sampling food items, she still nurses and relies on her mother as her primary source of nutrition. In the coming months, Jane will be more easily visible as she will transition to being carried on Abby’s back and venture a little further away from her mom, but not yet out of reach. If you’re lucky, you’ll spot Jane playing with her sisters, Zuhura and Akira, 7, or see the elder chimpanzees gently grooming her. The newest chimpanzee has brought much excitement to the troop and she continues to grow in size and personality every day. – Melissa Thueme is a mammal supervisor for the Detroit Zoological Society. As the lights gradually came on at sunrise behind the scenes at the Detroit Zoo’s Great Apes of Harambee on Saturday, July 14, 34-year-old chimpanzee Abby made her way over to the mesh that separates the neighboring stall. She knocked on the door and vocalized to the other chimpanzees, who were slowly starting to wake up. Curious chimps approached the mesh to greet Abby, and as they looked, they could see a tiny newborn chimpanzee in her arms. Abby greeted her friends and showed them her baby while keeping a safe distance to protect her from any inquisitive poking fingers. 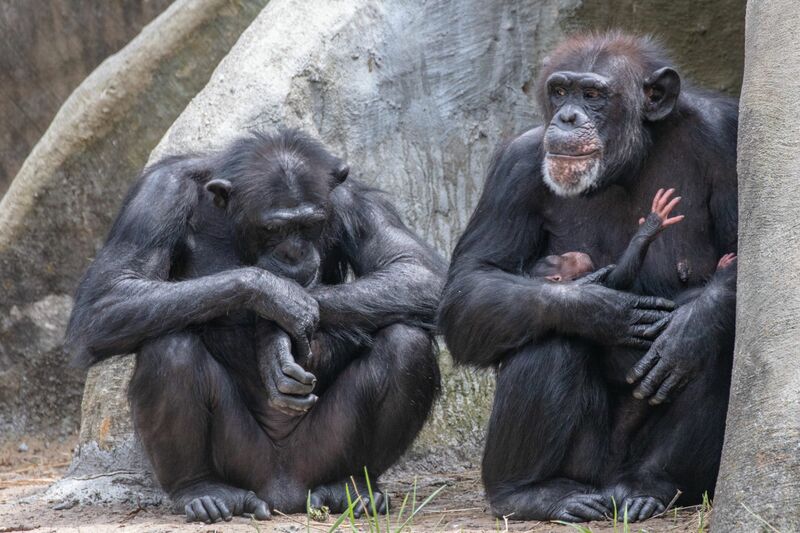 The little one was born just after midnight on what was coincidentally the first World Chimpanzee Day. 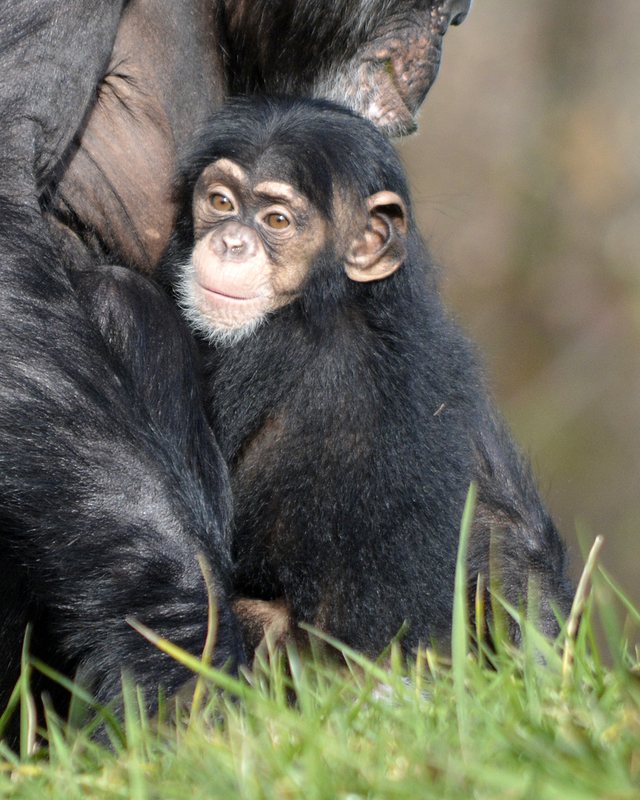 She was named “Jane” after legendary primatologist and anthropologist Dr. Jane Goodall, in honor of the anniversary of her first visit to what is now Gombe Stream National Park in Tanzania to study the social interactions of wild chimpanzees. During the first few days, Abby remained separated from the rest of the chimpanzee troop to allow her to rest and bond with Jane and for Detroit Zoological Society (DZS) staff to monitor them. 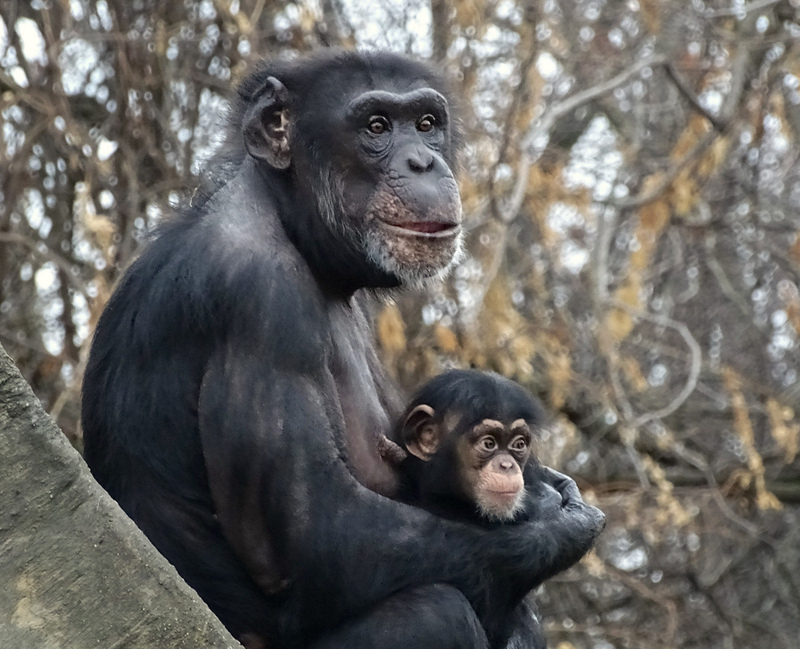 While Abby is an experienced mother, having given birth to daughter Chiana 24 years ago (who is a mother herself to 4-year-old Zuhura) it is important for staff to observe a chimpanzee mother and her infant. DZS staff immediately began documenting the frequency that Jane nurses, which should be in short durations every 60-100 minutes. They’ve also been recording maternal behaviors – some of which are simply adorable, such as when Abby holds up her baby, looks at her and then hugs her to her chest. Animal care staff are cautious to not disturb Abby as they make their observations, sitting quietly in the aisle of their holding area with mesh in between them. In those first few days, with Jane sleeping soundly on her mother’s chest between nursings, Abby’s tired eyes would grow heavy and she’d gently give Jane a few comforting pats on her back before falling asleep herself. Jane’s grip grows stronger each day. She is now holding on tightly to her mom’s chest with both hands and feet, only occasionally needing a little extra support. After a few days of observations, staff determined that Abby and Jane were ready to move to the dayroom of the indoor habitat and meet some of the other chimpanzees. Abby greeted her friends Trixi and Tanya and began to groom with them by the windows while Jane slept in her arms. Abby denied Tanya’s request to touch Jane’s hand, so Tanya settled with looking closely at Jane while she made her nest nearby. 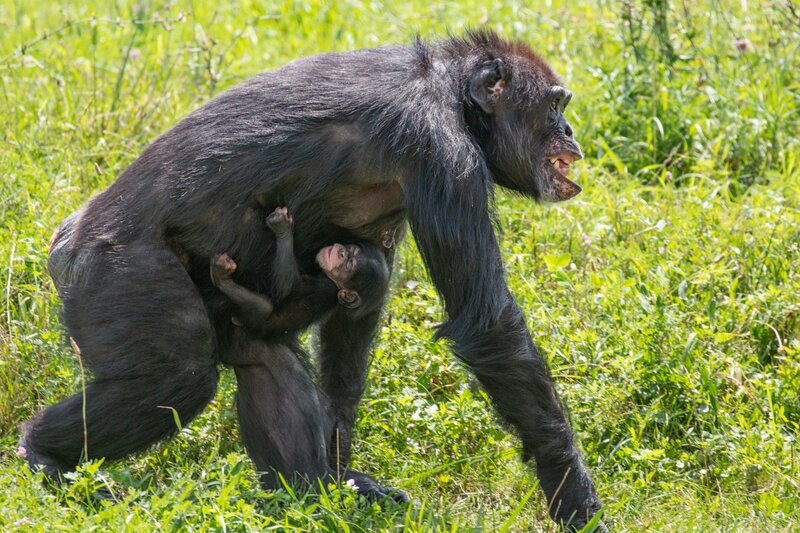 Over the next few days, Abby was reunited with the remaining chimpanzee troop members, including Jane’s father, Imara. They had a chance to see – and try to touch – Jane for the first time. Some were curious, including youngsters Ajua and Akira, who stared in apparent amazement and couldn’t take their eyes off of little Jane, while others such as Nyani barely seemed to notice the infant. 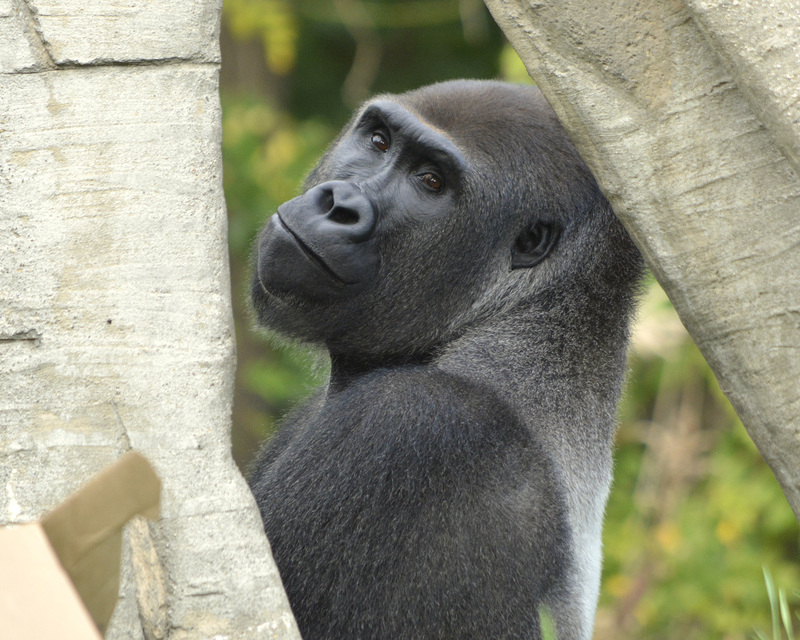 Formerly the youngest of the group, Zuhura, almost 5, appeared unsure of what to think of Jane. Zuhura followed Abby everywhere in demand of the attention of her grandmother and curiously wanting to see Jane. Zuhura would repeatedly – and gently – reach out to touch Jane, but Abby would turn away and hold onto the little one tightly while trying to distract Zuhura with some playful tickles. 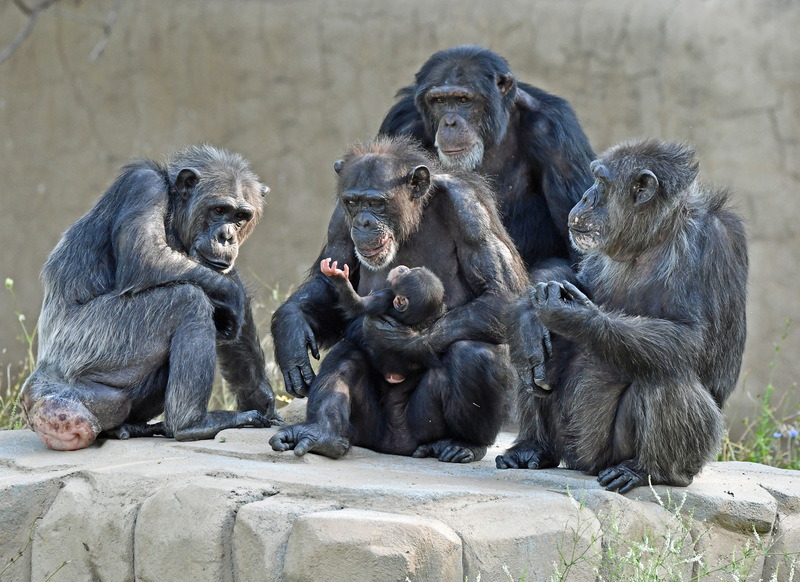 With all 11 of the chimpanzees now together, they often are seen eagerly grooming in the sunlight by the windows, a way that chimpanzees maintain positive relationships with one another. Abby and Jane ventured into their outdoor habitat for the first time just shy of Jane’s 2-week-old mark. Dad Imara escorted his family on a few investigative laps around the habitat before Abby decided it was time to lay down and rest again. With plenty of space, Abby has yet to identify a preferred spot to rest with Jane, but she can often be seen in and below the trees, as well as at the windows looking into the public viewing area. It’s difficult to believe since she is still so tiny, but Jane has grown quite a bit in these last few weeks and is hitting all of her development milestones. After three weeks, Jane is awake more often and starting to look around and focus on her surroundings. She has been holding on to Abby’s chest tightly, rarely needing the support of her mother’s hand on her back, and can pull herself up and push with her legs to adjust her position if she is hungry. Although Jane will still appear small as the weeks go on, she will be making strides in her growth and development. We are all eager to watch her continue to grow and for her personality to begin to shine. 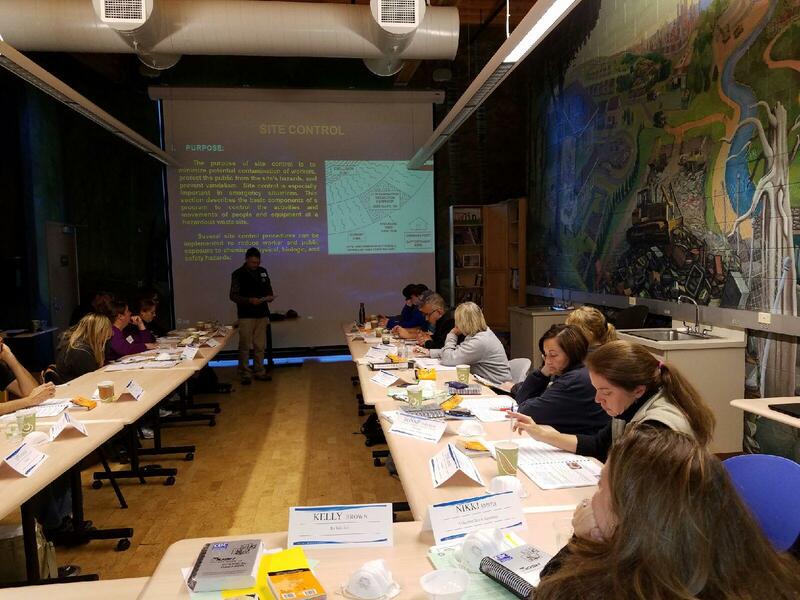 The Detroit Zoo recently hosted the first international Hazardous Waste Operations and Emergency Response (HAZWOPER) training, facilitated by the Alaska Sea Life Center of Seward, Alaska. Part of the Detroit Zoological Society’s (DZS’s) dedication to conservation includes annual training for DZS staff in HAZWOPER, which allows them to be prepared to respond immediately and help save wildlife affected by oil spills and other environmental emergencies locally, nationally and internationally. The first international HAZWOPER training included 10 DZS staff members and eight other individuals from zoos accredited by the Association of Zoos & Aquariums (AZA). Currently, there are only 90 individuals from 50 AZA institutions who have this level of training, which included a two-day classroom course, an eight-hour online course on the nationally recognized Incident Command System, and an environmental disaster drill. The eventual goal of AZA and the Alaska Sea Life Center is to develop regional emergency centers across the country. DZS staff has responded to three significant oil spills, providing assistance with the rehabilitation of several species and tens of thousands of animals. The largest marine oil spill in history took place in the Gulf of Mexico in April 2010 when the Deepwater Horizon oil rig exploded and the BP pipe leaked an estimated 2.2 million gallons of crude oil into the Gulf every day for nearly three months. 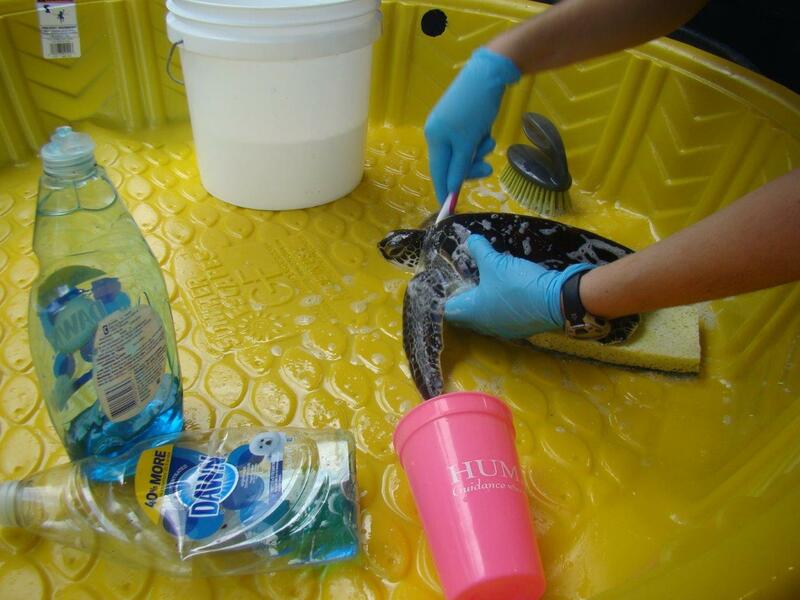 This oil spill affected 400 different species of wildlife, including 8,000 birds, 1,100 sea turtles and 109 mammals. 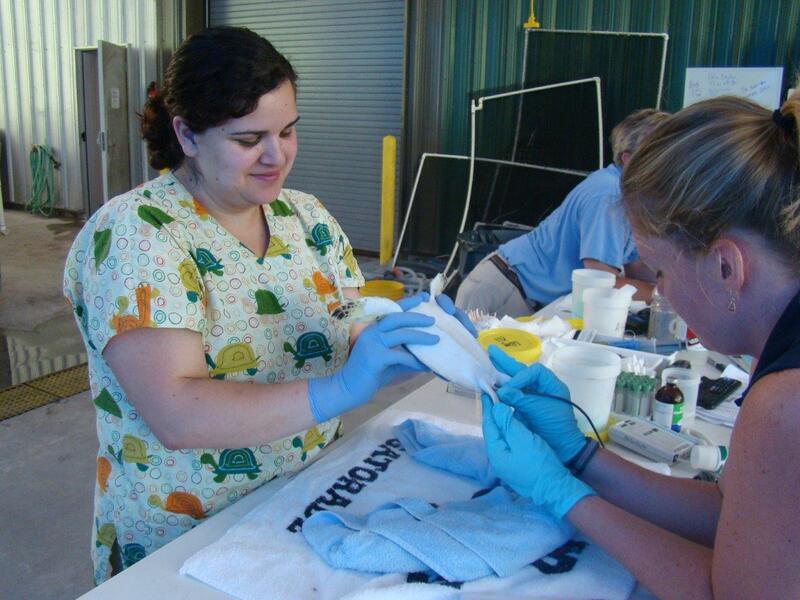 DZS Veterinary Technician Amanda Dabaldo traveled to New Orleans in July 2010 to assist with the recovery efforts. Amanda spent two weeks working with the Audubon Nature Institute providing medical care for more than 140 juvenile sea turtles. The Enbridge Oil Spill occurred in July 2010, when a broken pipeline leaked oil along 25 miles of river between Marshall and Battle Creek, Mich. An estimated one million gallons of oil affected thousands of animals including birds, mammals and reptiles – turtles were most affected. The Detroit Zoo, along with other AZA zoos including the Toledo Zoo, Binder Park Zoo, Fort Wayne Children’s Zoo, Potter Park Zoo and the John Ball Zoo, partnered with teams such as Focus Wildlife, TriMedia Environmental and Engineering Services LLC, the Michigan Department of Natural Resources and Environment, and the U.S. Fish and Wildlife Service to set up a rehabilitation center in Marshall. Nine DZS staff members spent more than 600 hours between August and October 2010, providing daily care for frogs and turtles. 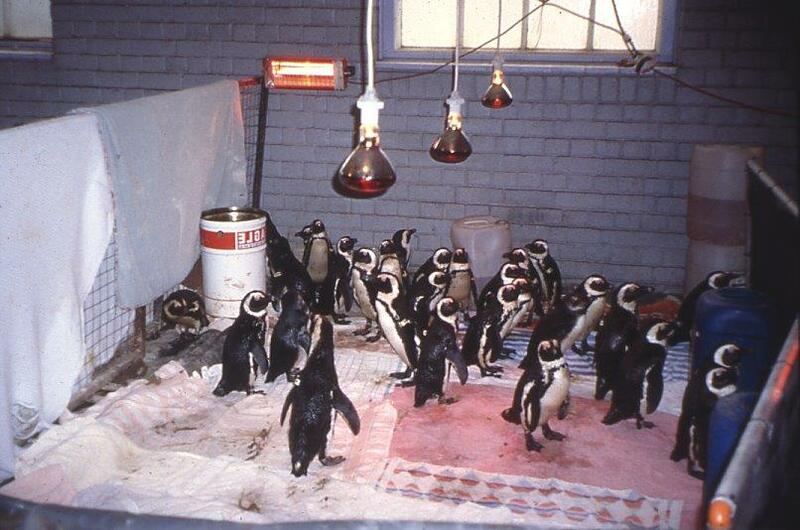 In June 2000, the oil freighter Treasure sank off the coast of Cape Town, South Africa and 1,300 tons of fuel oil spilled near the largest colonies of African penguins. 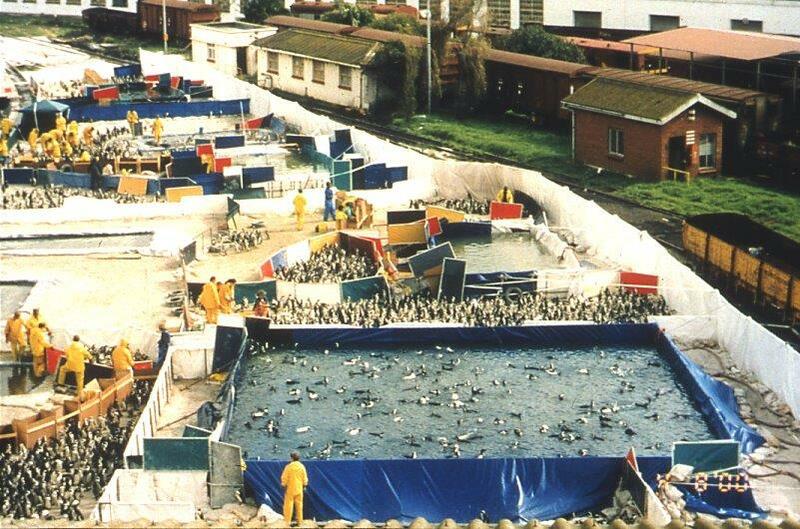 Forty percent of the penguin population was affected by this oil spill; 19,000 of the birds had oiled feathers and went through the rehabilitation process, 3,300 chicks that were abandoned were reared and released; and about 19,500 birds were air-lifted and taken several miles up the coast and released. Two DZS penguin keepers, Jessica Jozwiak and Bonnie Van Dam each spent three weeks assisting with this project. – Bonnie Van Dam is the associate curator of birds for the Detroit Zoological Society. Saturday, October 22 is National Make a Difference Day and we’re celebrating with our incredible volunteer corps at the Detroit Zoo. From 10 a.m. to 2 p.m., guests can take part in a scavenger hunt as well as family-friendly hands-on activities to celebrate how volunteers make a difference at the Zoo. 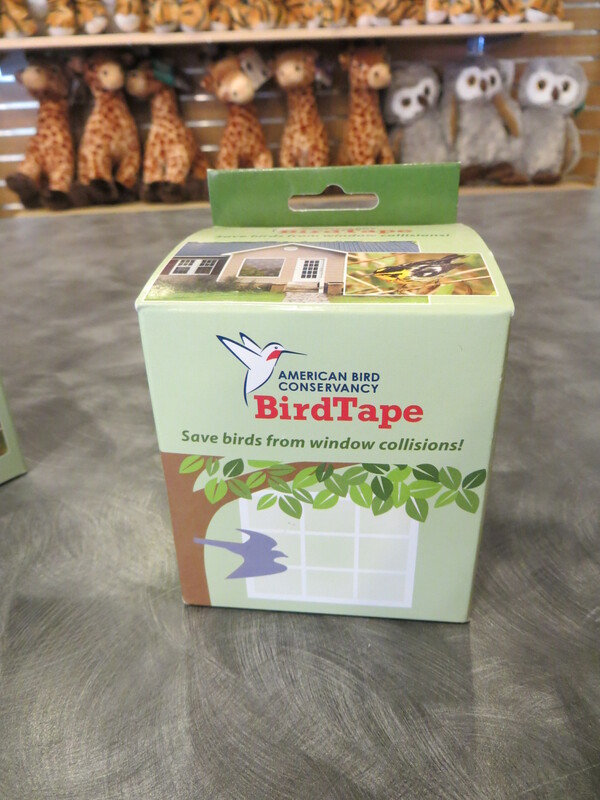 Guests can cut out window decals that help to prevent bird strikes, which kill millions of birds in the U.S. every year. 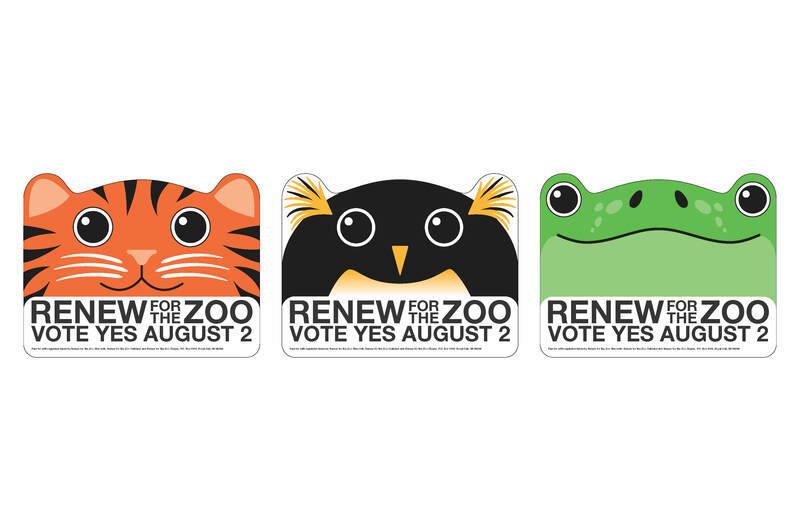 One can be taken home and one will be left for use at the Zoo (while supplies last). Information will be available on other ways to help birds using items such as window tape, screens and paint. Recycled T-shirts will be available for guests to turn into tote bags. Leftover millage signs (the ones with the cute animal faces) will be available to turn into journal covers, bulletin boards and other creative uses guests can find for them (while supplies last). Recycling plastic materials such as these signs helps keep them from winding up in landfills where they don’t disintegrate. 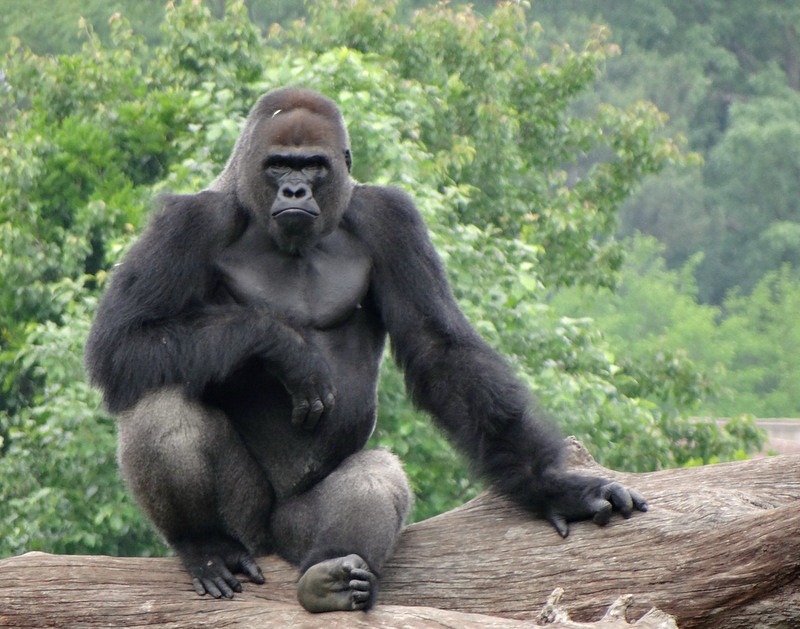 Upon arriving at the Zoo, guests will be offered to take a “discovery tour”. This tour will direct visitors to locations around the Zoo where they will meet volunteers on duty and learn about what they do. 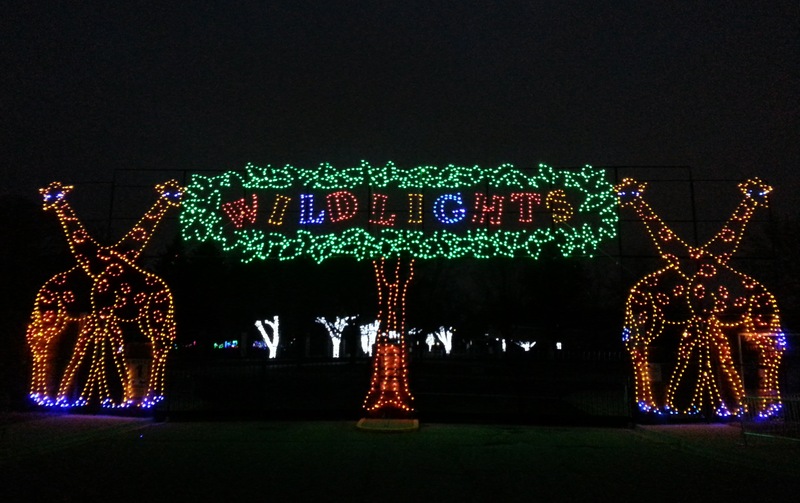 Guests who complete the tour, fill out a form and turn it in at the Ford Education Center will be entered into a drawing for two tickets to Wild Lights – six winners will be drawn at 2 p.m. Guests will also receive a token item for participating. 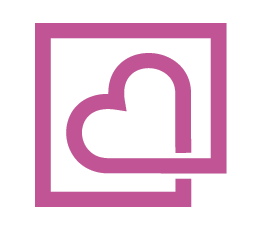 Guests who chose to do so may also include their email address on their scavenger hunt form in order to receive more information about either the teen or adult volunteer programs for Spring 2017. Volunteer Services staff will be on hand to collect the scavenger hunt forms and talk more about volunteer opportunities at the Zoo. We hope you join us and learn more about our fabulous volunteers and how you too can make a difference! Also taking place this day is our encore Smashing Pumpkins event, when animals including the chimpanzees, polar bears, giraffes and “grizzly boys” are given Halloween goodies to eat, play with, roll around and smash. Learn more and view the schedule here. Looking to hang your lights like an expert this holiday season? 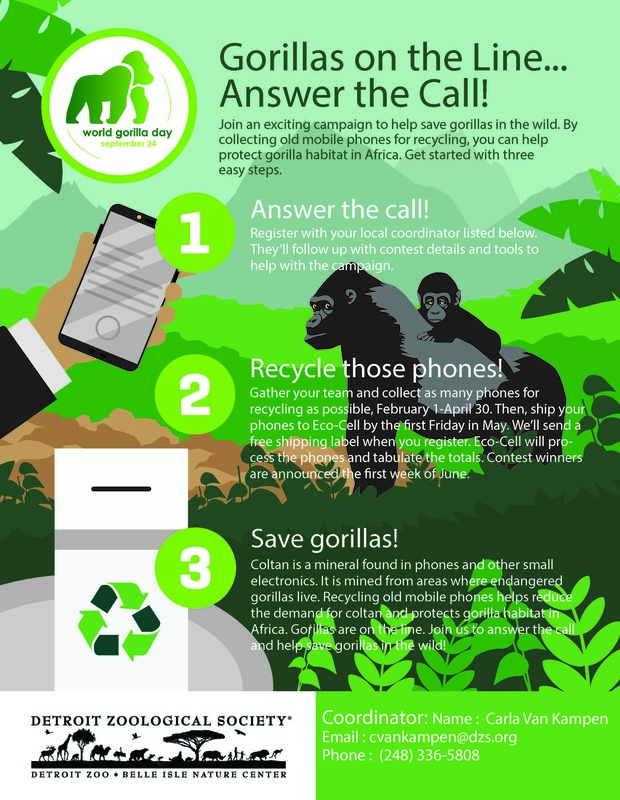 Take a cue from the man who strings millions every year at the Detroit Zoo. Steven Greening, technical supervisor for the Detroit Zoological Society, leads the team that sets up more than five million LED lights in preparation for Wild Lights at the Detroit Zoo. Buildings, trees and more than 200 animal sculptures become illuminated as a spectacular holiday treat for hundreds of thousands of guests during 29 nights in November and December. While lighting up the Zoo is far more intensive than decorating the average home – Steven’s team began their work in August – the tips he shares can apply to anybody, no matter the scale. Stretch out light strands before hanging them. This allows the wires to naturally unwind and unkink, and ensures that the lights stay in place all season. Mix white lights and colorful lights. Eye-catching white lights can be used to emphasize certain features in a landscape. Steven suggests buying the same color lights from the same source, as LED bulb colors can vary greatly between manufacturers. Keep tension on light strands when wrapping tree trunks and limbs. When the temperature changes, loosely-wrapped wires can fall and look messy. Keep the spacing even and maintain it over the whole tree. Reach new heights. Attach a BBQ fork to the end of an extendable painter’s pole to help reach tree canopies without using a ladder. Maximize the space. If your existing landscaping includes lights aimed at bushes or trees, try using colored bulbs or lenses that match the holiday lights used. It will make the trees or bushes look fuller without using as many lights. Most importantly, always follow safe practices on ladders and roofs. Don’t use staples to attach lights, don’t overload circuits and keep all electrical connections dry. Be sure lights are plugged in to a grounded outlet. Wild Lights at the Detroit Zoo will be held from 5:30 to 9 p.m. on November 18-20 and 25-27; and December 1-4, 8-11, 15-23, and 26-31. 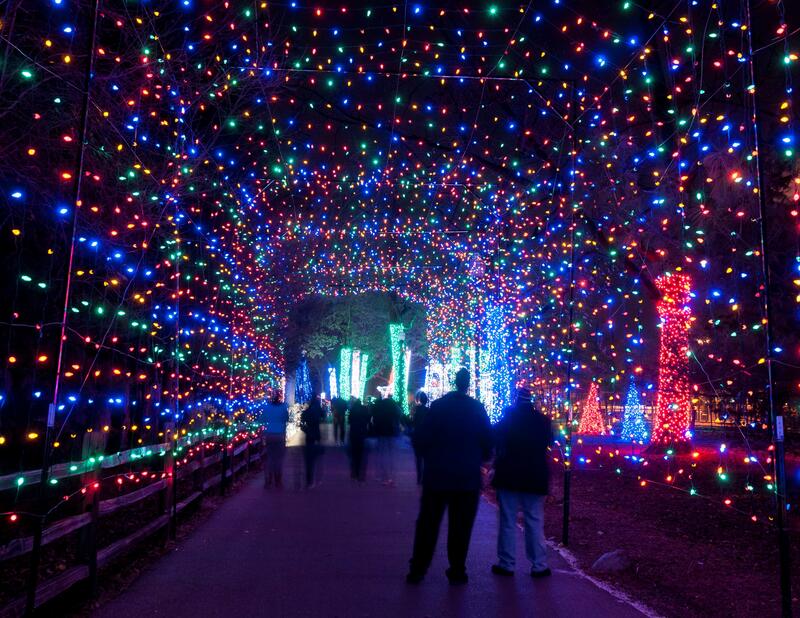 Tickets are $10 in advance or $13 at the gate and will be available online for Members starting on October 1 and for the general public starting on October 15 at http://detroitzoo.org/events/zoo-events/wild-lights. Carousel rides and photos with Santa Claus will be available for purchase, and a 10-minute adaptation of the animated classic Rudolph the Red-Nosed Reindeer will be featured at the Wild Adventure Zone 4-D Theater. This film will only be played during Wild Lights and tickets are $5 per person, ages 2 and up. In addition, the Wildlife Photographer of the Year exhibition will be on display in the Ford Education Center. 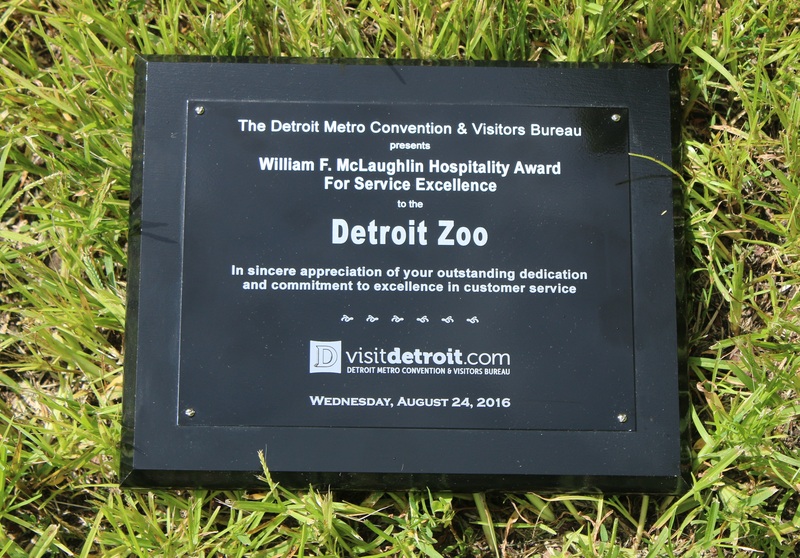 The Detroit Zoo recently received the prestigious William F. McLaughlin Hospitality Award for Service Excellence from the Detroit Metro Convention and Visitors Bureau. 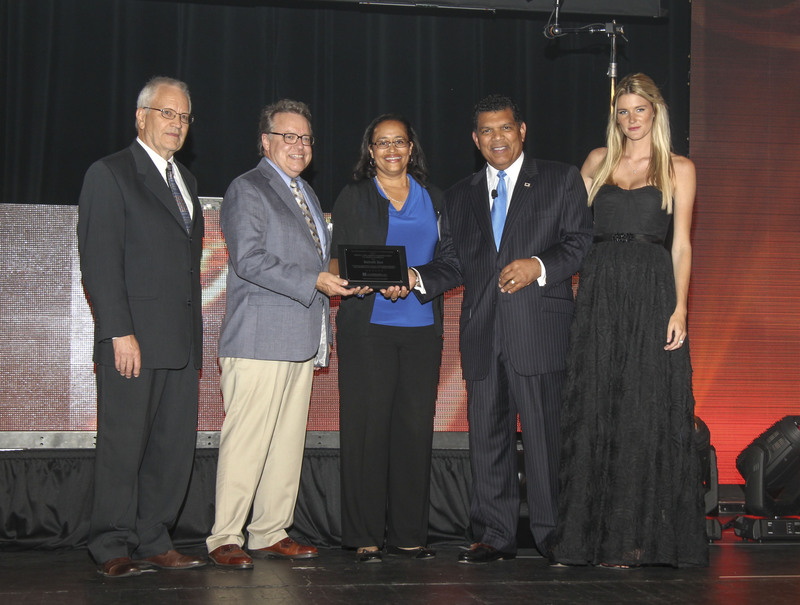 This is a great honor, as it is the only award in the state that recognizes customer service excellence in businesses. Detroit Zoological Society Chief Operating Officer Gerry VanAcker and Guest Relations Director Alexis Means accepted the award on behalf of the Zoo’s dedicated staff and volunteers. The staff at the Zoo works hard on a daily basis to ensure that each and every guest has a pleasant visit. During employee training, staff learns the Zoo’s rules for great customer service. Grin and greet within 8 feet. Smiles are contagious, so simply smiling and greeting guests can make an impact on their visit. Be a good listener. Taking the time to listen to guests’ needs by asking questions and concentrating on what they’re saying makes them feel as if we care about their experience – and we do! Make guests (as well as staff and volunteers) feel important. If possible, use their name and treat them as individuals. Find ways to compliment them, but be sincere. By generating good feelings about doing business with us, they will return again and again. Always say “yes” – within reason. Look for ways to help visitors whenever possible. If they have a request, as long as it’s reasonable, we can help. Know how to apologize. If something goes wrong, it’s easy to say “I’m sorry” and guests appreciate it. Try to remedy the situation and make sure the visitor knows what has been done. Even if they are having a bad day, there’s always something we can do to try and make them more comfortable. Give more than expected. Because the future success of the Zoo lies in keeping visitors happy, we try to find ways to set ourselves apart from other institutions. Escorting guests to locations when asked for directions is one way we can stand out. Don’t just show…go! Treat all employees and volunteers well. It’s not just the guests who enjoy feeling appreciated. When we feel good, we’re better at making our guests feel good!